Sandvox was the choice for Ken Little to build his website. He chose the “Cathedral” design for the site. People may want to visit the site if they are looking for Bible Study, Christian Faith. To mature within my Christian faith, and maintain a close relationship with Jesus, I have made a habit of reading the Bible and many other sources related to the Bible such as Bible commentaries, outlines, and devotionals. At first I was underlining in my books. Over time I realized that I would like to more formally capture some of the good material (excerpts) that I read and footnote them for future reference for me and my children. I also wanted to be able to access these from anywhere I could get to the web. At first I housed them on a Dropbox site. But then, I realized that I also wanted to share this with a few friends. 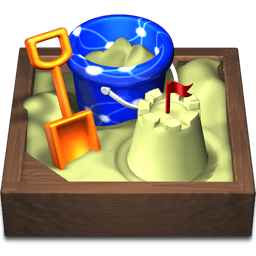 The Dropbox solution really had no design appeal, so I looked for a web development tool that would run on my Mac computer and found Sandvox. It allowed me to quickly design a website that better showcases my Bible Study notes that I can now access remotely (through a smart phone or tablet) or even some of my friends I made on a mission trip on the other side of the world who cannot afford a computer, but can access the website on their smartphones. When I come across topics of interest in the Bible such as Jesus, The Holy Spirit, The Trinity, Love, Peace, Hope and Encouragement, Gifts, Obedience, Life Lessons, The Great Commission, Heaven & Hell, The Resurrection, and many others, I try to deeply research the topic and create pages of researched excerpts from a large library of books that I possess. Sandvox has really been an excellent tool. I haven't even leveraged all it's features. But it is nice to know that I can also grow into it as I have the need. Thanks Sandvox! My target audience is close friends who may want to maintain a lose walk with Jesus in the Christian faith or any lost soul who is searching for why they are here on this earth and their reason for being. Any budding Christian or lost soul or someone looking to maintain a close walk with Jesus can use the website as a resource. It contains not only my research, but also links to many daily devotionals by noted Christian leaders, sermons (audio and video), links to Bibles. I've tried to make it a resource for all Christians, including people who are lost and searching for their salvation or have questions. I am not trying to compete with anyone, but to do my part in the Great Commission, which is part of my faith. I don't sell anything or ask for monetary contributions or make any money from linking to Amazon books that are referenced on my website. This website was created by Ken Little of Birmingham, Alabama, USA.